Help change the whole world. A ready-made adventure in global learning for K-12 students that calls on their thinking, creativity, and compassion—and it’s free and flexible enough to teach however you choose. 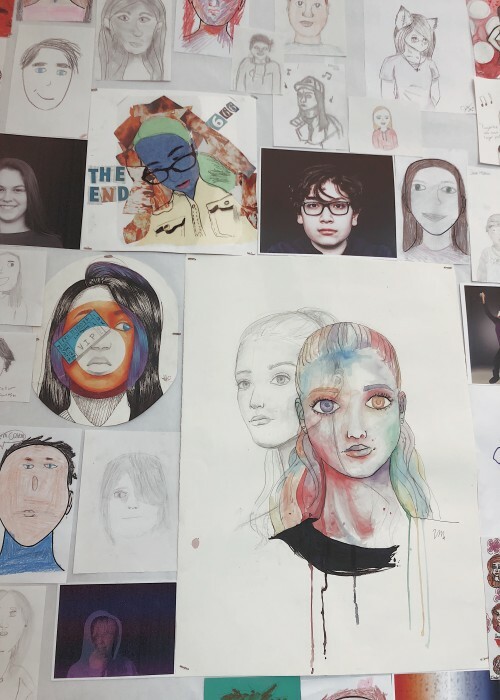 Part lesson in global citizenship, part art project, it's a whole student approach to change the whole world. Each school year we issue a Challenge, a critical problem faced by young people in the world, and invite students to respond. Register, then dig in using our free resources. In 2011 we learned about the devastating earthquake and tsunami that struck Japan. Use our easy-to-follow instructions to create specific artwork related to this year’s Challenge. 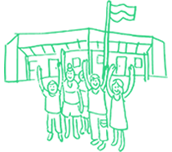 When it’s finished, join hundreds of thousands of other participants in sending your art our way. 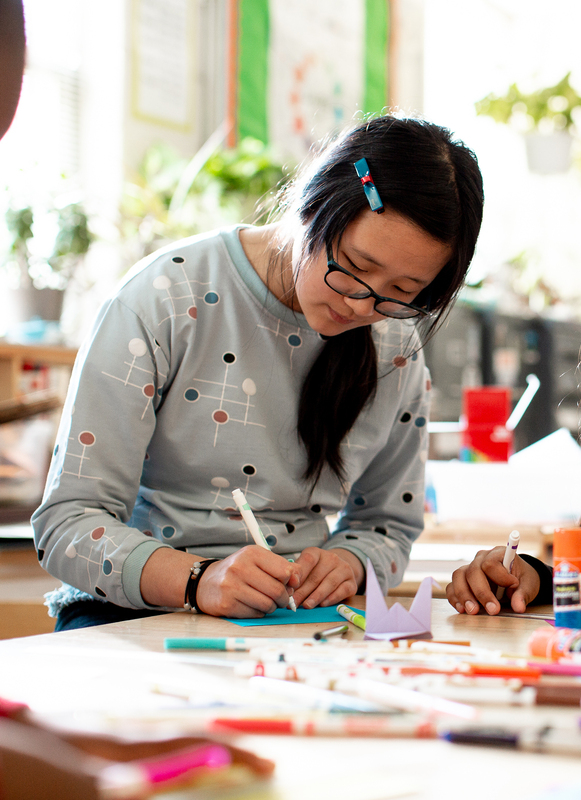 In response, students around the world created over 2 million cranes! 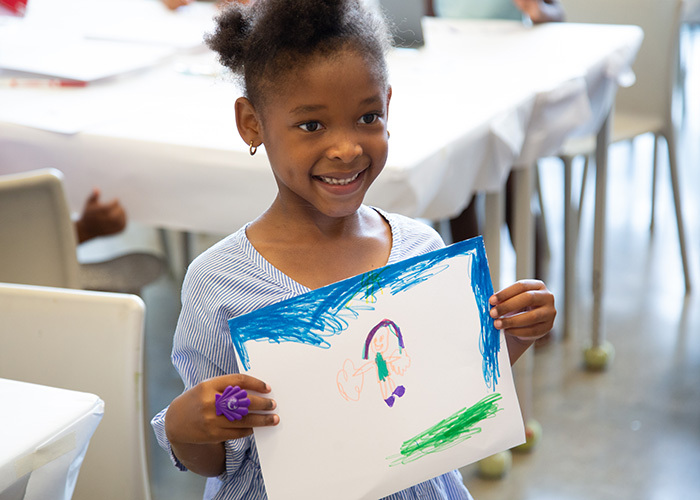 For every piece of art we receive, the Bezos Family Foundation donates to programs helping the people your students have learned about. Collective creativity adds up to real impact and helps raise awareness about important issues. These cranes provided disaster relief after the Japanese tsunami and earthquake. Help save our ocean and support coastal communities. First, register below. 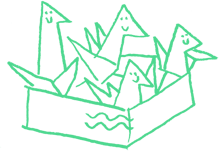 Then use our free resources to teach about the ocean and coastal communities, and lead students in creating sea creatures out of paper. Submit a photo of your art or mail it to us. 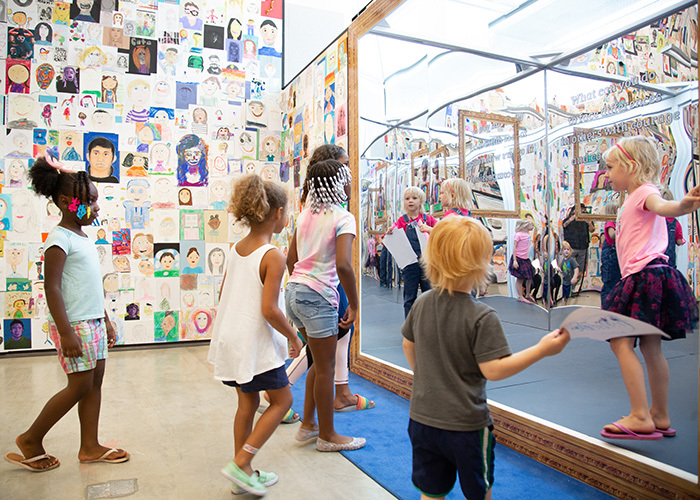 For each piece of art, the Bezos Family Foundation will donate $2 (up to $500K) to community-based programs. 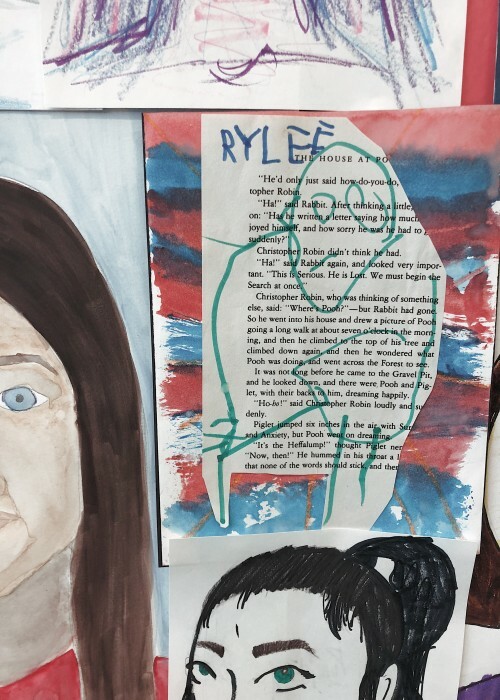 Funds will help train coastal youth in ocean conservation and coral restoration, and student art will be featured in an exhibit promoting awareness of ocean threats. "When you make something with your hands, it changes the way you feel, which changes the way you think, which changes the way you act." 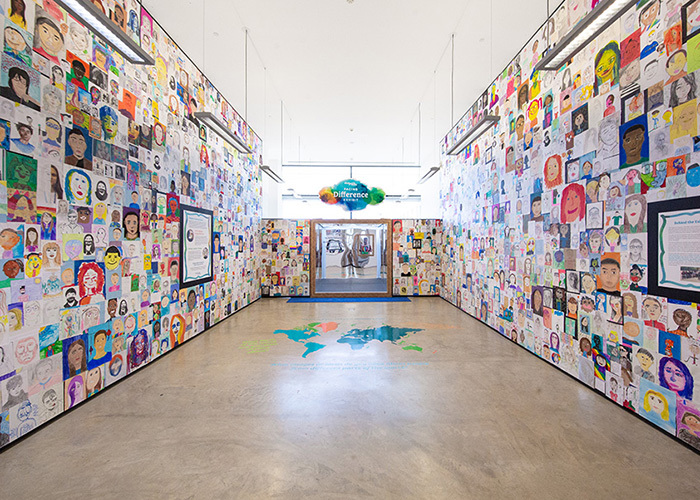 Increasing global understanding through 5.9 million pieces of artwork and counting. 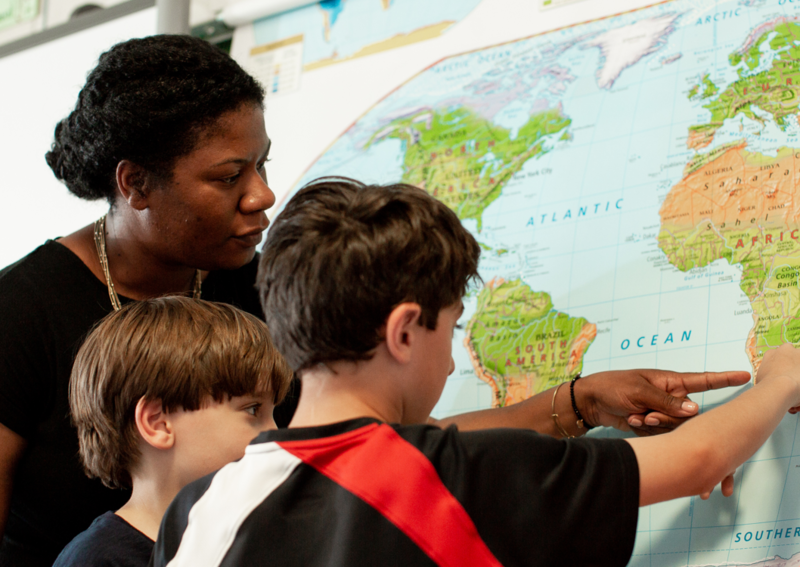 “I love how Students Rebuild allows my students to connect not only students within their own community but to students in other countries across the globe. They loved that they could be a part of that." 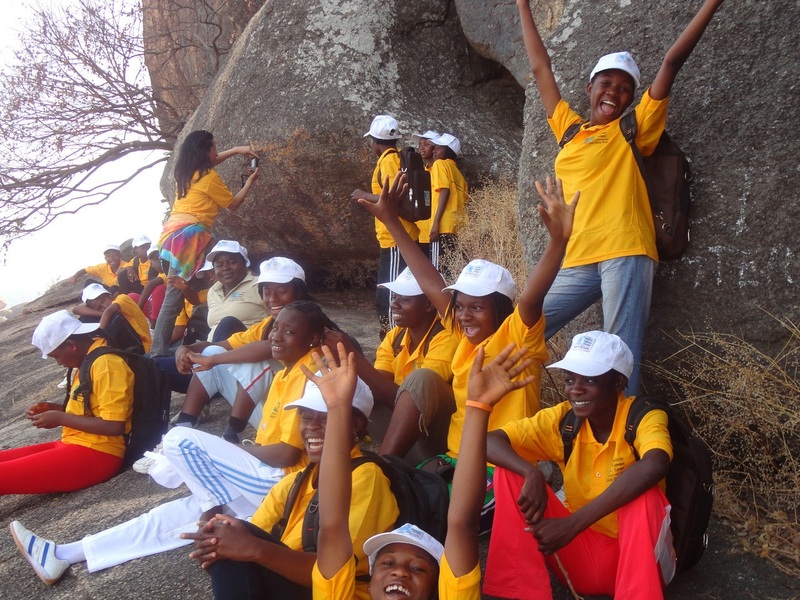 “I believe projects like this bridge the gap and make our global community that much smaller. You're motivated to think about other people and see what you can do to improve a situation not just at home but somewhere else." 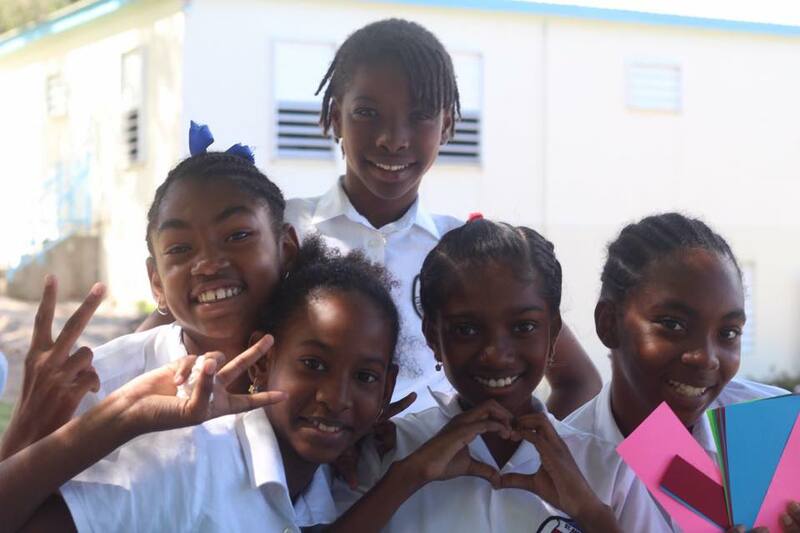 Inspiring notes, photos, and updates from the Students Rebuild team and teachers and students around the world. 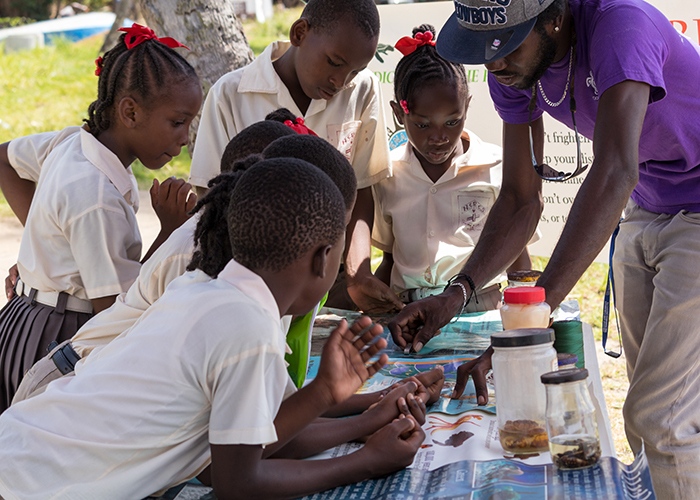 St. Augustine School of Montserrat recently participated in the Ocean Challenge with support of our grantee partner Fish n’ Fins. 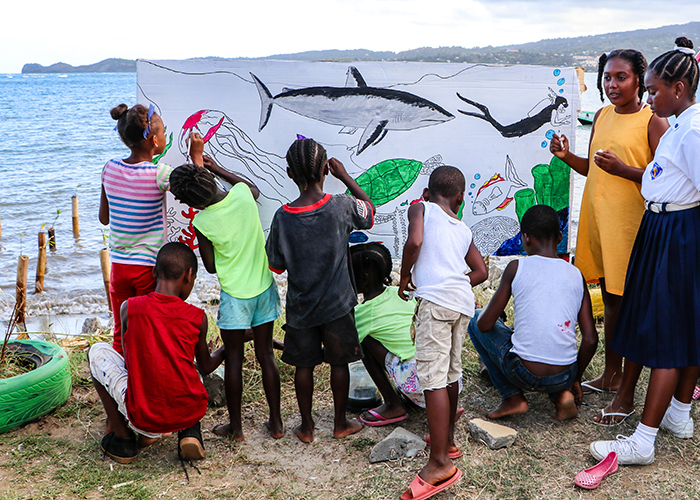 Students turned art into action to promote the urgent need for ocean conservation from the front lines of climate change. Shidhulai aims to transform the region's waterways into pathways for education, information, and technology- also to deal with climate change-induced flooding, to protect the environment and people’s rights, and to lift people out of poverty. Students' efforts through the Ocean Challenge will fund, build and operate a two-tier floating classroom that will enable children to develop new skills, monitor water quality, and raise awareness of river conservation. 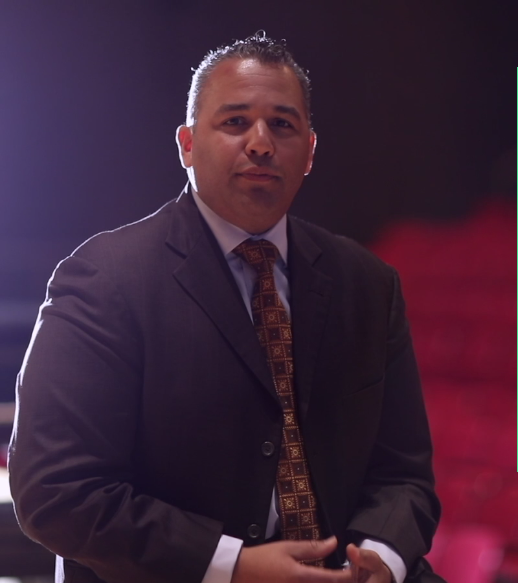 Check back on our resources page for this new video and supporting guide in April! 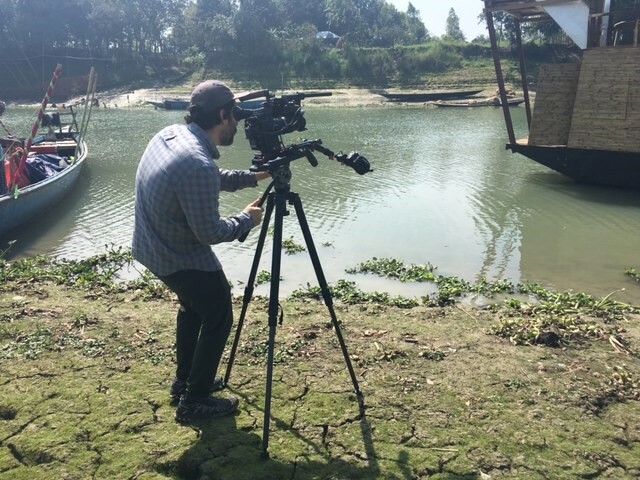 This month our friends at Global Nomads Group are producing a new video and teaching materials telling the story of the Shidhulai organization in Bangladesh, one of the 10 organizations benefiting from the Ocean Challenge. 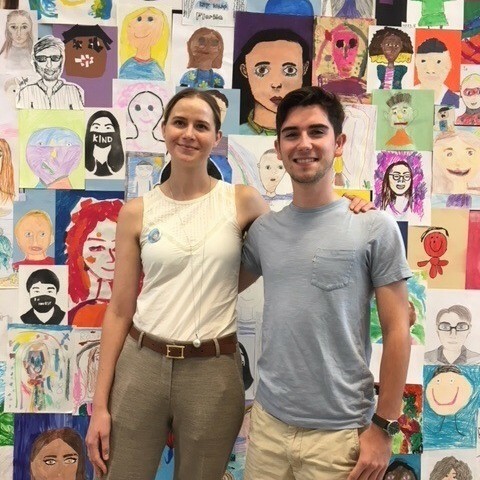 Students Rebuild is excited to highlight youth advocates making a difference for our ocean and world. 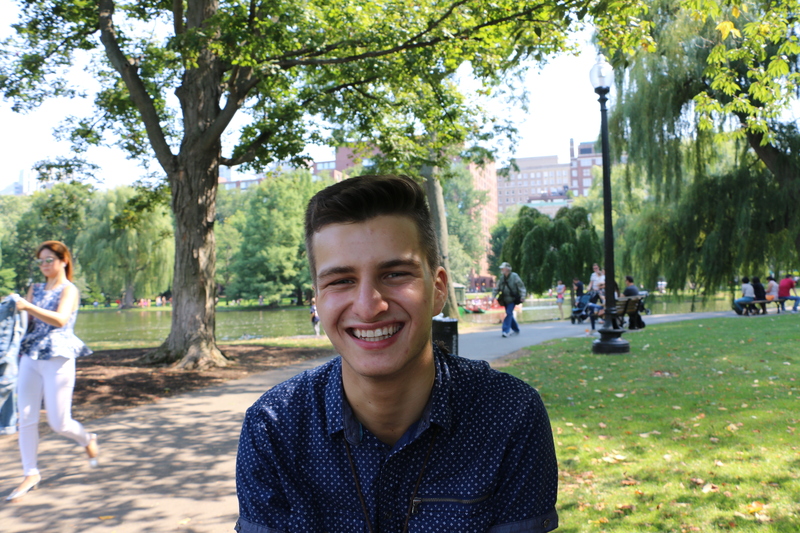 Meet Yanni Pappas, who is a member of the Jane Goodall Institute’s Roots & Shoots U.S. National Youth Leadership Council. Taking local action can be simple! If your classroom or team is near a beach or waterway, take a field trip and spend time cleaning up. Encourage students that may visit waterways such as beaches, lakes, and rivers make sure to clean up after themselves before they leave. 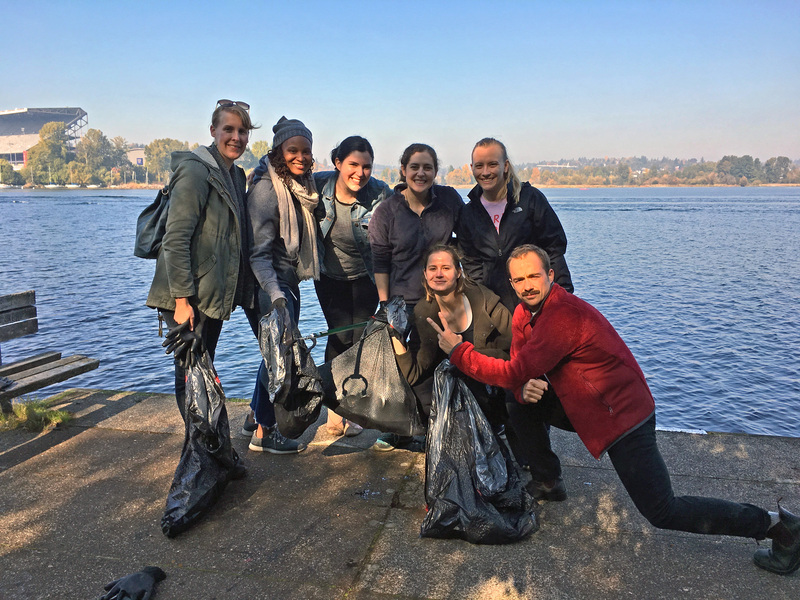 Inspired by teams around the world, our team is joining students to help clean up our local water ways! Here we are with the bags of trash that we retrieved from the Madison Park Arboretum in Seattle, WA. 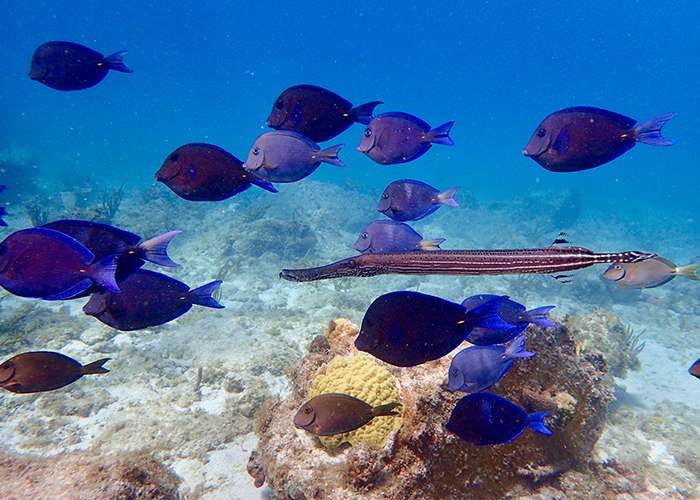 Our ocean is teeming with life and we all rely on it for survival. Through the Ocean Challenge we are excited to explore and learn more through the work of The Nature Conservancy. Inside the Facing Difference exhibit in the Figge Art Museum of Davenport, IA. 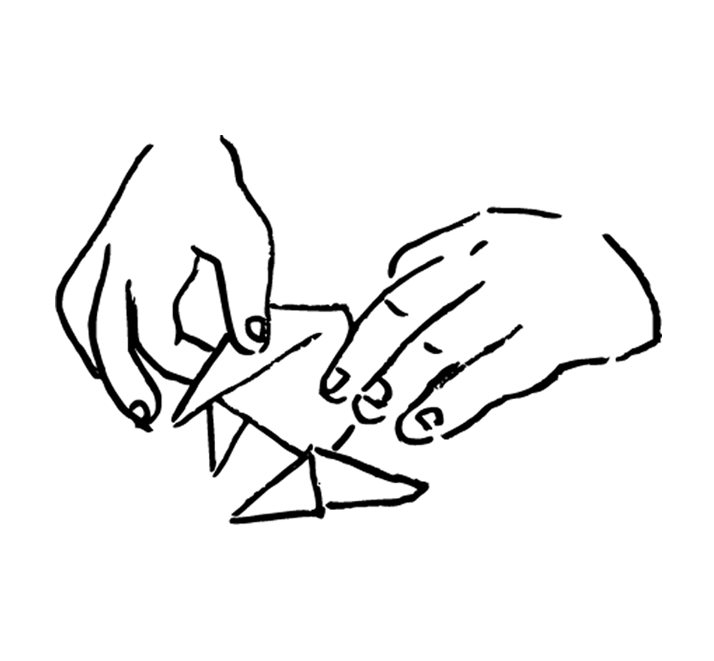 This year we are excited to be partnering with Ocean Collectiv to help identify and support amazing organizations impacting vulnerable coastal communities. 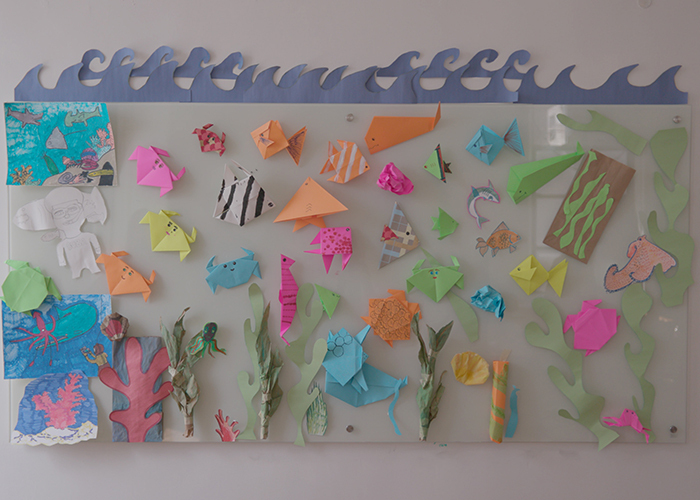 Young people from the Bronx Science Key Club helped create ocean creatures ahead of our Challenge launch! 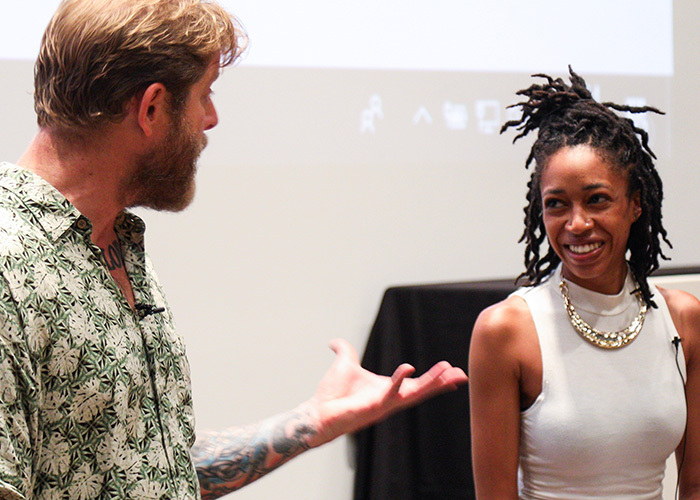 Afiya Williams and Arno Michaelis speaking at the opening event for the Facing Difference exhibit in the Figge Art Museum of Davenport, IA. "Without the reefs, the beaches disappear. We're learning how to take care of our island. And the fish, too. 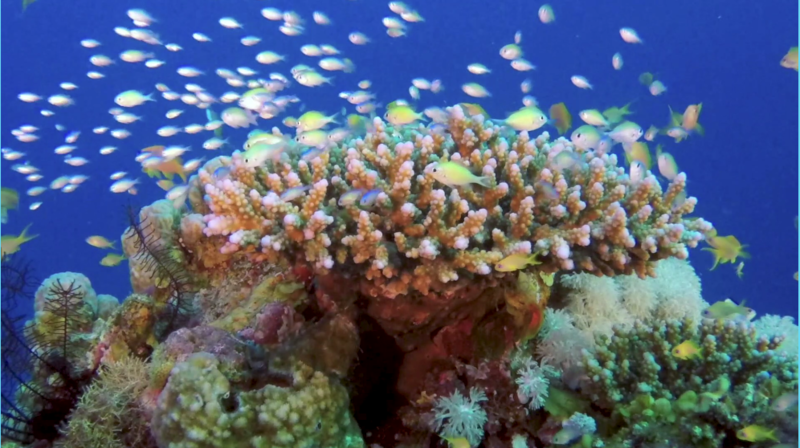 Without a reef, no fish." - Joseph, 10, Alpha Junior School. Youth playing in the Facing Difference exhibit at Figge Art Museum in Davenport, IA. This photo was taken in Grenada during Reef Week. 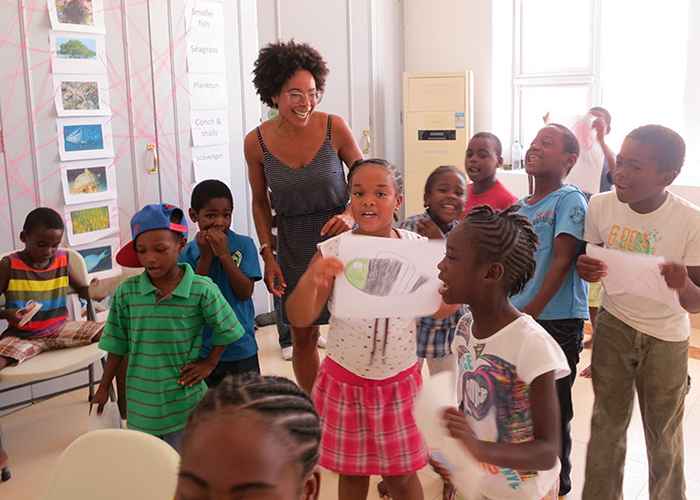 Through the Ocean Challenge, participants will be supporting similar work and projects in the Dominican Republic and The Bahamas. Students Rebuild team member Valerie with Bezos Scholar Pablo Haake! We're so excited to see Ocean Challenge art already coming in! Thank you Uruguayan American School! Thank you Oklahoma Centennial High School for creating these sea creatures for the Ocean Challenge! 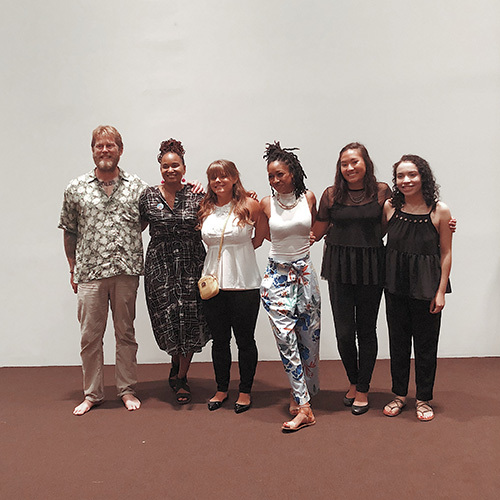 Arno Michaelis, Afiya Williams of Global Nomads Group, Students Rebuild team member Leonetta, and students from Davenport Central HS at the Figge Art Museum exhibit launch. Pictures with portraits! At the Facing Difference exhibit in the Figge Art Museum of Davenport, IA. Portraits on display at the Figge Art Museum. 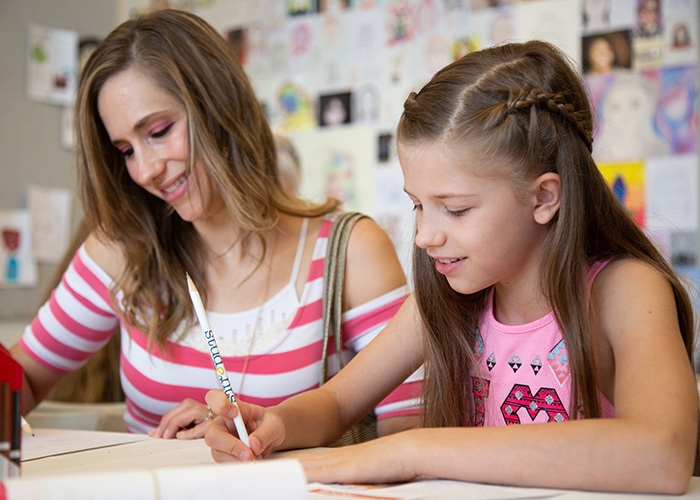 Drawing self-portraits at the Facing Difference exhibit in the Figge Art Museum of Davenport, IA.